Masculinity ranks high when it comes to marital bling for the modern groom. We understand that men want wedding bands as simple and as lifestyle-friendly as possible, so we created a new line of carbon fiber wedding bands for today’s rugged groom. At Brilliance, we make sure that your symbol of eternal love for your significant other will fit your most rigorous activities, while not compromising good looks. We decided to forego the shiny metals and pretty stones to bring you a collection of no-frills, highly durable wedding bands made of military-grade material. Carbon fiber is lightweight but extremely tensile, making it ideal for aerospace and engineering purposes. It is five times as strong as steel and twice as rigid, yet weighs considerably less. Given these impressive but practical traits, how can we resist creating an awesome new line of wedding rings using this exciting new material? Check out our Beveled Carbon Fiber Men’s Wedding Ring in Cobalt, for instance. It features a drop beveled edge and a grey carbon fiber inlay with a subtle woven look. The contrast of the dark matte with the high-polish finish of the cobalt gives the ring a masculine look that’s perfect for all occasions. 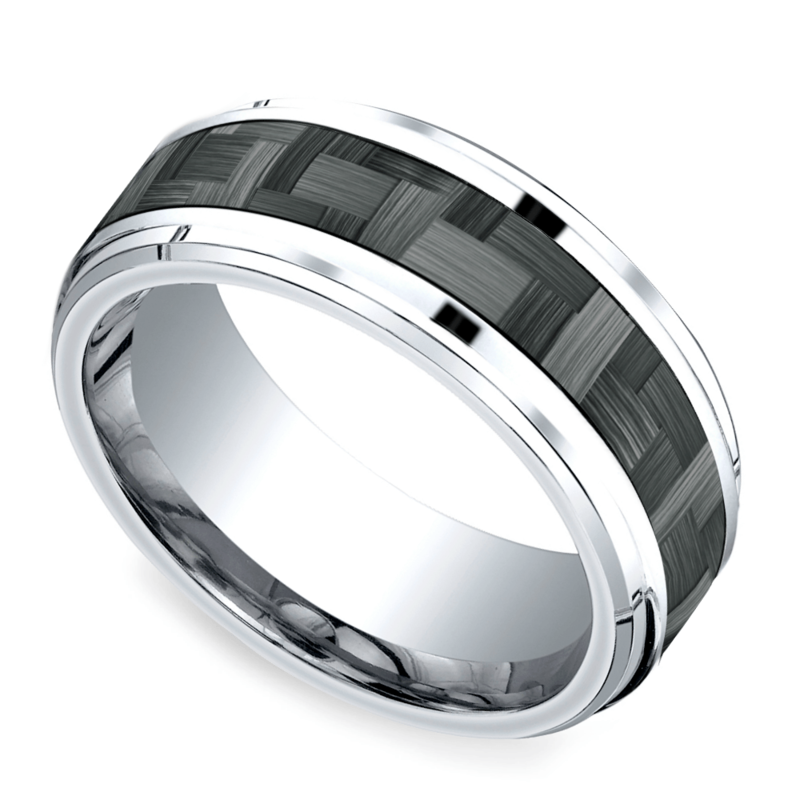 We also have the Beveled Carbon Fiber Inlay Men’s Wedding Ring in Tungsten. Whether you’re racing in your new car, shooting some hoops, or working long hours at the office, this ruggedly handsome, ultramodern-looking wedding band will keep up with the challenges of an active day. Not all good-looking things have to shine and sparkle. Stay rugged and true to your active lifestyle with the new carbon fiber wedding bands from Brilliance. To get a 15% discount on our exciting wedding ring line for men, use the code CARBONFIBER14 today.